There are certain products and companies that you encounter during your life that just exude quality in everything that they do. When you find one of these companies, it’s always pleasurable to work with them and use their products or services. Such has been my experience with Chris Pak and his company, Sandast. Sandast was founded in 2006 and re-launched in 2010 with Chris Pak at the helm. Chris’ focus in re-launching was on quality and his efforts have paid off. With a host of accessories, wallets, belts, and bags Sandast has created a luxurious line of sumptuous leather products that have received a lot of notice. Johnny Depp proudly carries a Sandast bag. 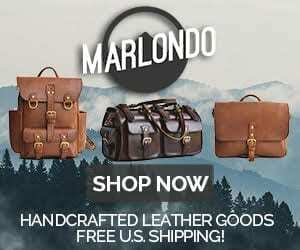 One of the phrases you’ll see and read frequently on Sandast’s website is “modern vintage” – which quickly explains their efforts to create leather pieces that have a uniquely vintage look and a hint of modern taste. After a great phone conversation with Chris about Sandast, we determined that it would be great to showcase the Sandast Debbie Pack. Here comes one of our favorite words here at BestLeather…Horween. However, the Horween component chosen by Sandast is only vegetable tanned leather. Sandast is dedicated to using only vegetable tanned leather, as it involves only natural ingredients and is not harmful to the environment. Once the craftsmen at Sandast receive the leather from Horween, they apply their own proprietary mix of oil, wax, and fats to the leather. As a result of their efforts, the leather takes on a texture and quality that is easily seen and felt as soon as you touch it. It’s soft, waterproof, and extremely durable. And…it’s gorgeous. In addition to using thick, uber quality leather, Sandast also uses heavy gauge buckles from France and an attractive, heavy-duty clasp that’s manufactured in Italy on the Debbie Pack. I’m not sure what type of thread is used on the pack, but the color and stitching create a nice contrast to rich, Cognac color of the Debbie Pack. The two small pockets on the outside are quickly and easily secured with a magnetic latch system. This was a surprise to me. Prior to putting hands on the pack, I assumed these two pockets closed with the heavy gauge roller buckles that each sports. However, I was mistaken and they close with an incredibly strong, reliable magnetic closure system. 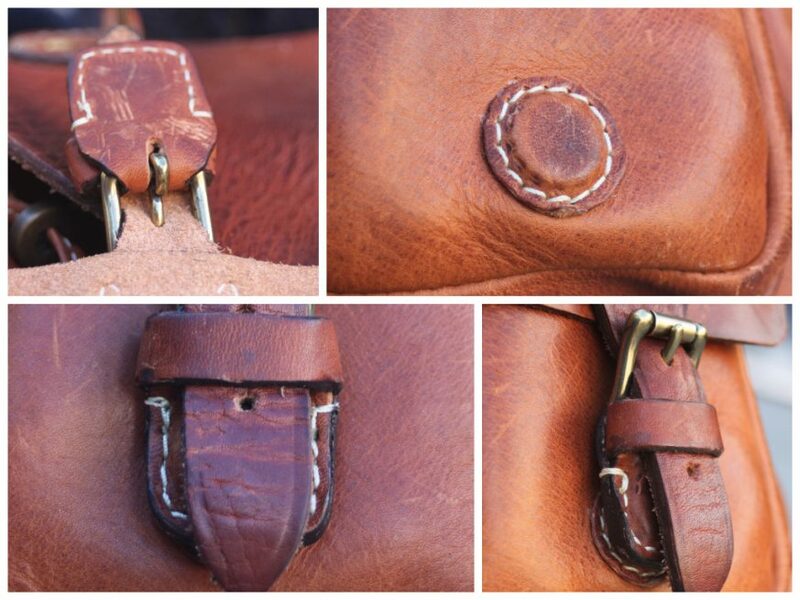 The bag features a heavy gauge leather drawstring with thick brass end caps that runs through heavy antique looking grommets. The interior is lined with an attractive plaid fabric. The zippered interior pocket sports a Swiss made Riri Zipper. The Debbie Pack, along with all of Sandast’s products, are designed and created in their Los Angeles, CA facility. The Sandast Debbie Pack elicits a playful and easy-going attitude. At 15” tall, 11” wide, and 6” thick it’s a great size for use every day – whether you sport it as a bag for school or work, it will perform well. The main compartment is large enough to store a full day’s worth of gear. It will easily fit my 13” MacBook Air, my camera, extra lenses, and an assortment of other small wares in the two external pockets. And, it does it all while looking fantastic. The main flap’s quick, easy to use clasp closure works well. The leather tab just above the closure sports the Sandast logo – an image of Elias Howe’s world changing sewing machine that was patented in 1846 (and a machine that Sandast uses in the production of all of their pieces). The adjustable shoulder straps are thick enough to allow you to carry the pack all day without them digging into your shoulders. The thick handle is comfortable and allows for easy carry. I do wish that a slightly larger version of this pack was available. Selfishly, it’s a little small for me. At 6’5” tall, the straps are a little short/tight. That’s the only negative thing I have to say about it…and that’s not really a flaw of the bag…I’m just a big guy. So, much to my wife’s benefit, she eagerly and happily “claimed” it. And, since then has carried it virtually every day. To date, it’s spent a weekend in Bend, Oregon and a few days up in Glacier National Park as well as joining her in trips to Spokane, WA and all around our hometown. Unfortunately, she was in Glacier without me. Next time, I’ll be sure to get some pictures of this gorgeous pack up on Going to the Sun Road or in front of one of the beautiful glacial fed lakes there. As I said in the beginning, there are certain companies and products that just exude quality. Stop reading for a second and stare at any one of the images of the Debbie Pack. Chris from Sandast has succeeded in creating a product that oozes quality and immediately conveys a message of luxury. The modern vintage feel definitely comes through when you look at individual components of the pack and the pack in its entirety. Everything with this bag is tastefully done. This is not a mass produced piece – but a backpack that has been assembled with a love for art, respect for the leather trade, and a desire to convey the modern vintage message. It hearkens back to an era of American industry when things were designed and constructed to last a lifetime. 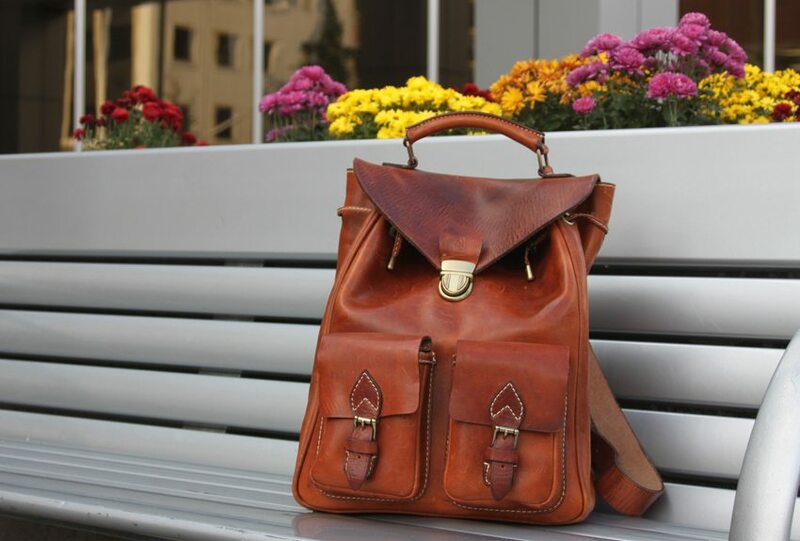 The Sandast Debbie Pack is definitely one of those pieces that squarely falls into BestLeather’s Buy It For Life category. It’s an outstanding representation of high-quality leather craftsmanship. And, it will truly last a lifetime. At $730, it is a fairly costly investment – but, rest assured, it will be the last backpack you will ever need to purchase. 3 Comments on "Sandast Debbie Pack – $730"